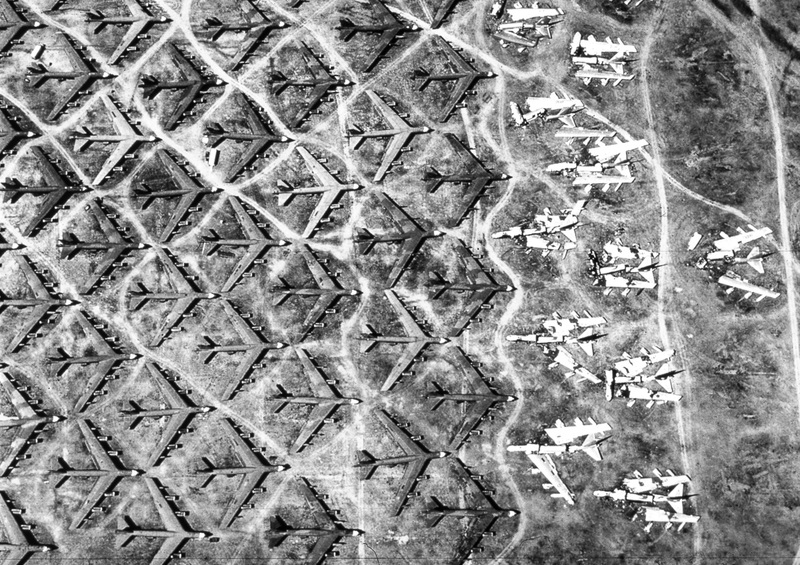 A graveyard for surplus heavy bombers at Davis-Monthan airbase in the Arizona desert. 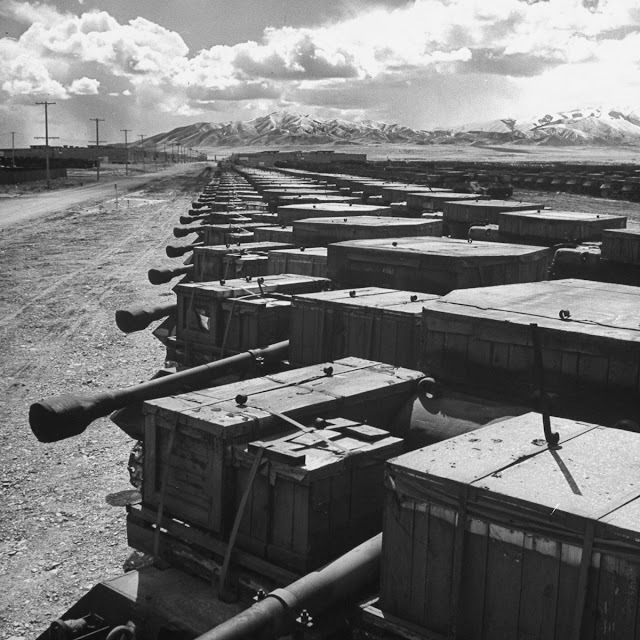 Armored vehicles sit in storage at a U.S. facility. 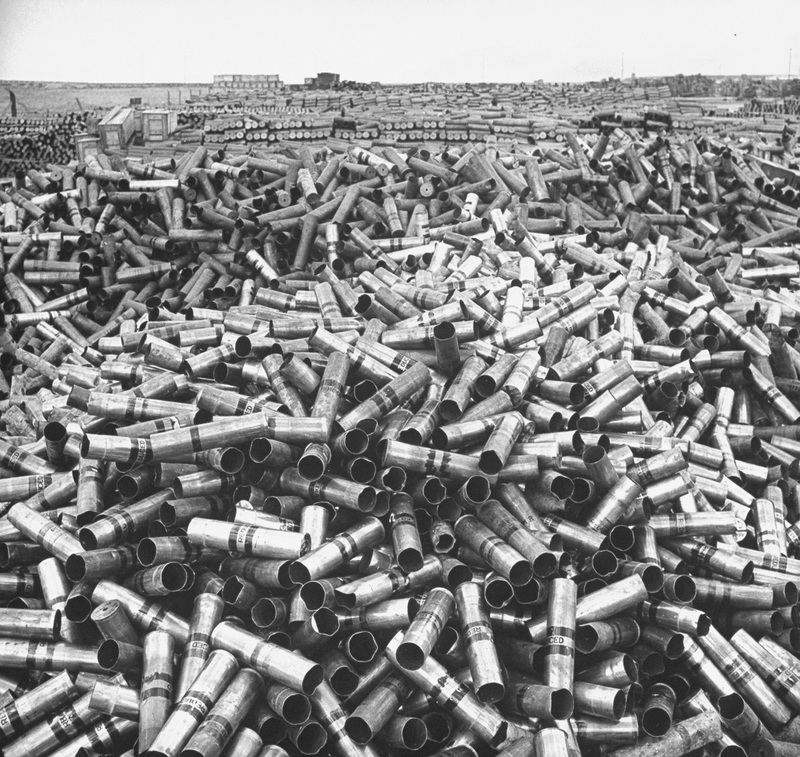 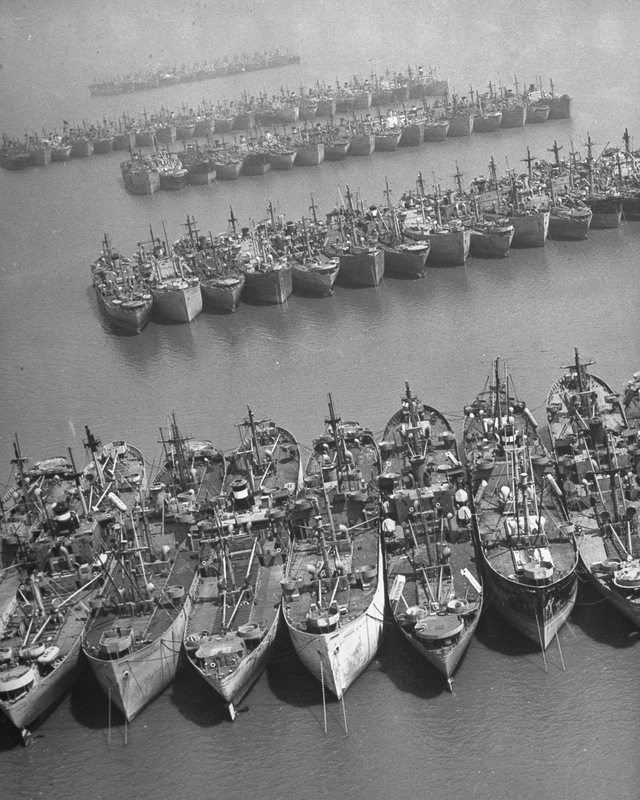 18 million pounds of scrap brass is piled up at a U.S. Army depot storing unused equipment. 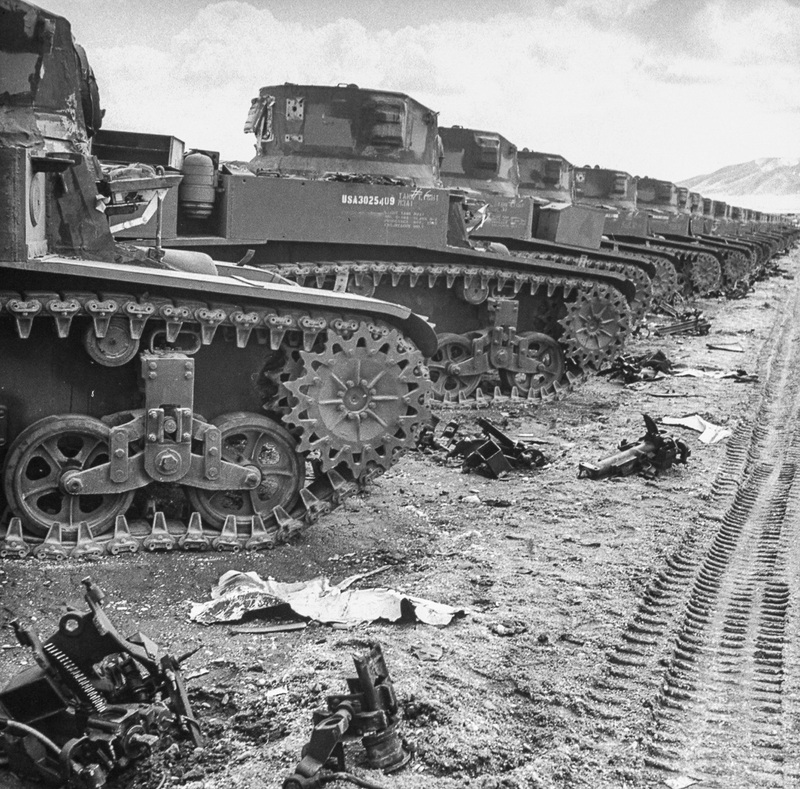 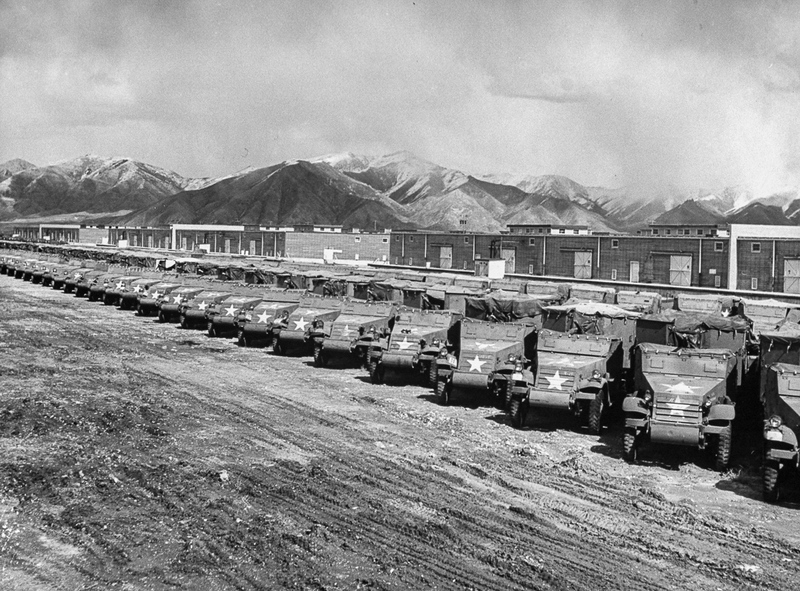 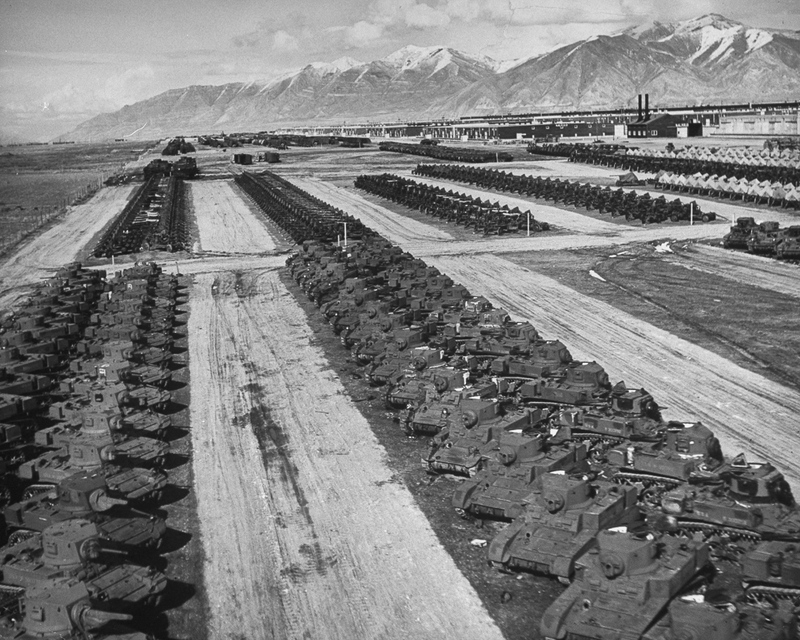 Obsolete M3A1 Light tanks sit in a U.S. Army depot. 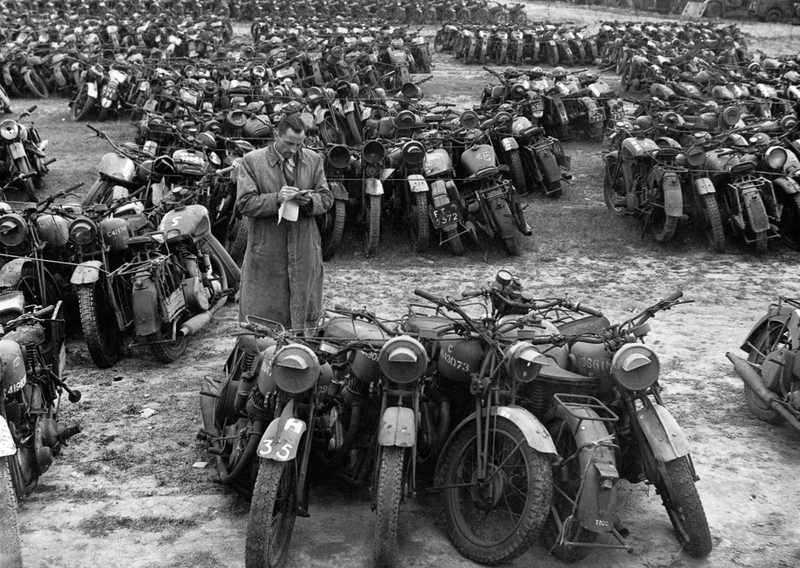 Surplus motorcycles in England are bundled in groups of five to be sold as scrap. 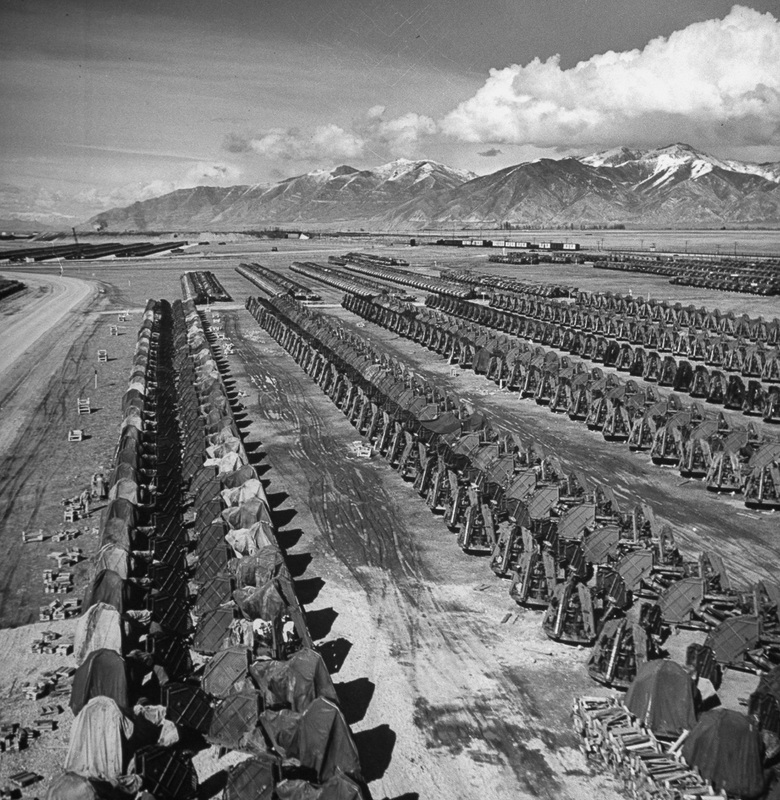 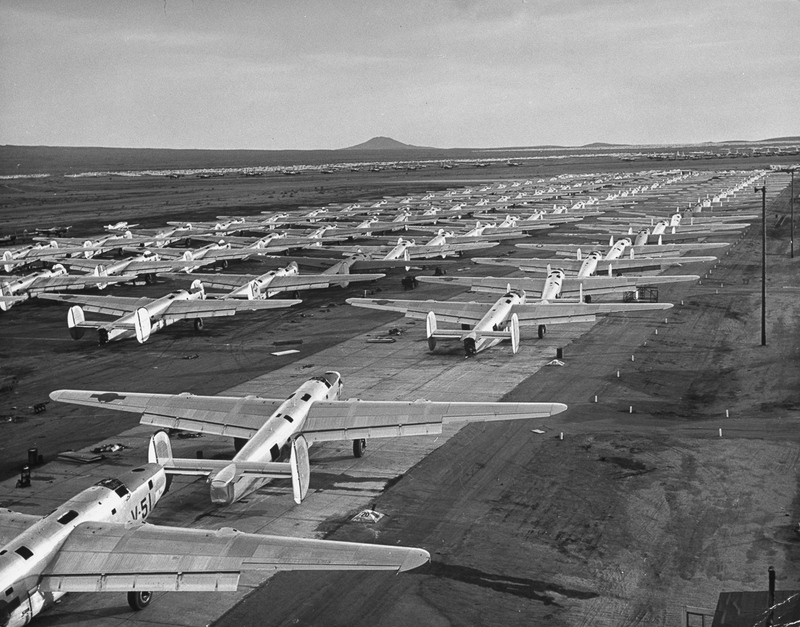 Heavy bombers await disassembly at Kingman Air Force base in Arizona. 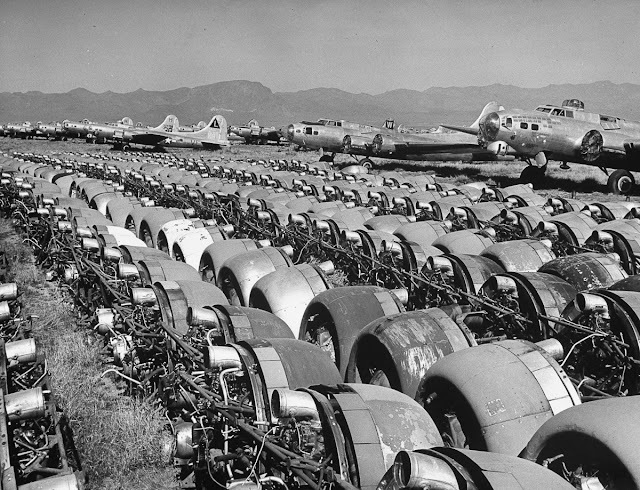 Engines are removed from mothballed planes at Kingman Air Force Base. 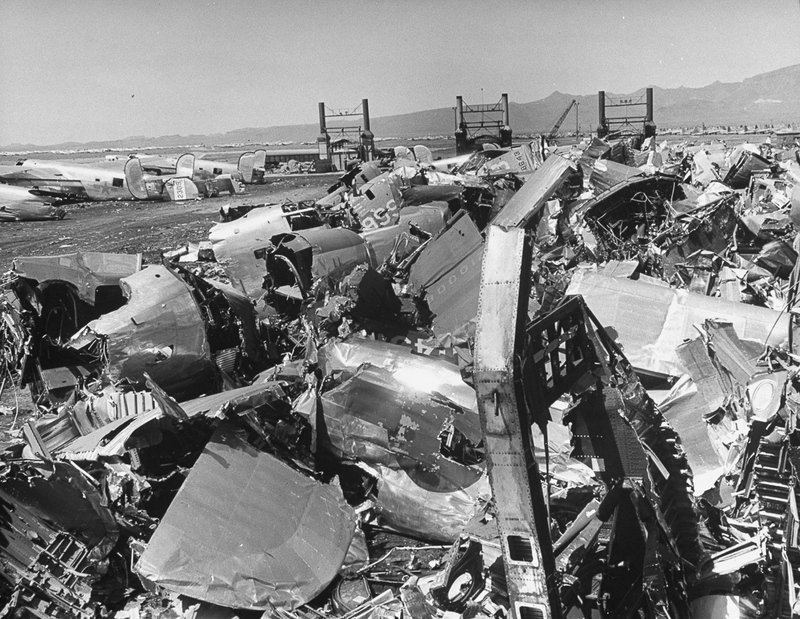 A pile of aluminum is all that remains of a plane at Kingman Air Force Base. 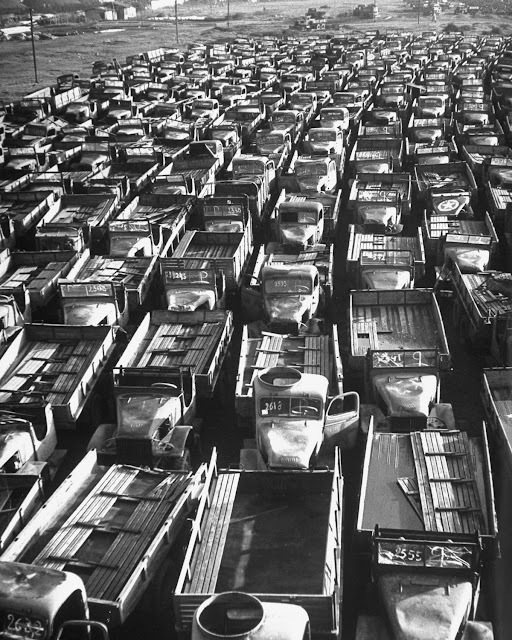 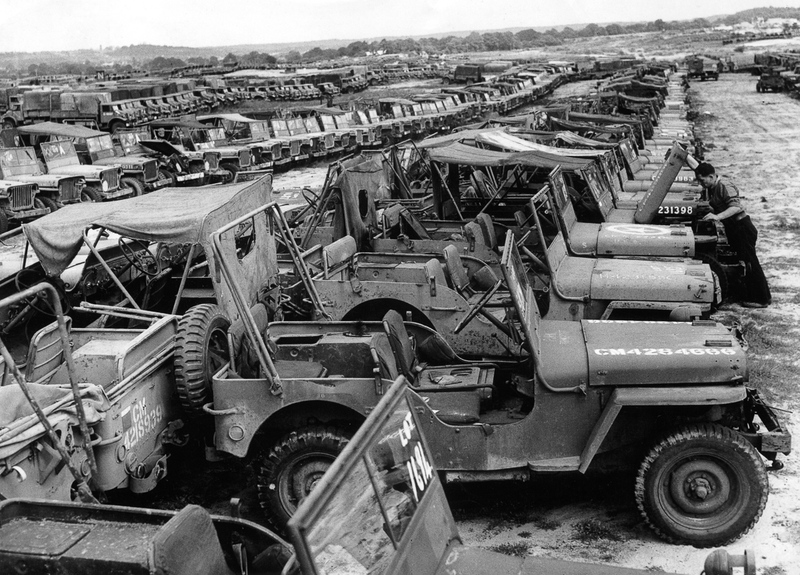 800 military Jeeps await auction at a storage facility in England. 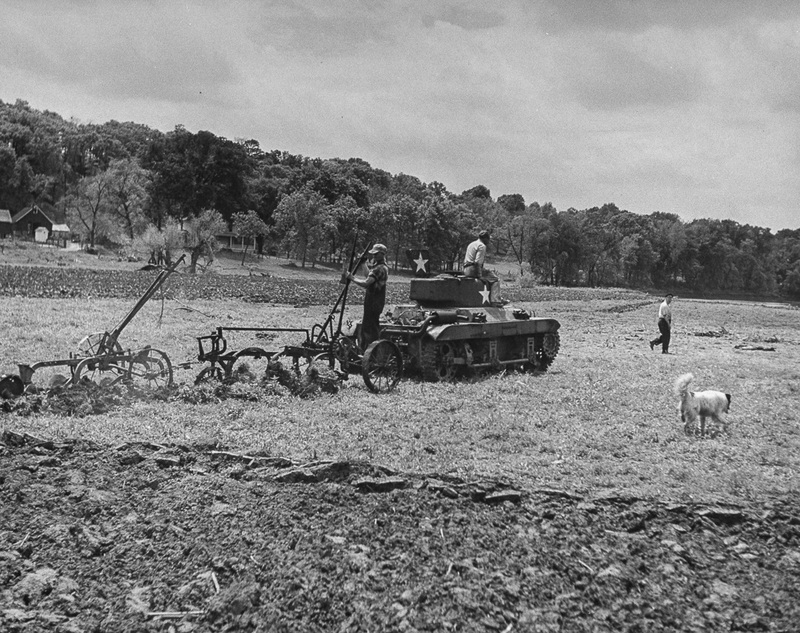 An American-made tank finds a new life pulling a plow on a farm.